In this year of the woman comes the story of two strong women who fight for justice and human rights in a small southern town at the turn of the nineteenth century. At great peril to themselves and loved ones, Mother Rachel Moore and daughter Rachel Mellon take a stand against assassination conspirators, a crime syndicate, and the Ku Klux Klan. 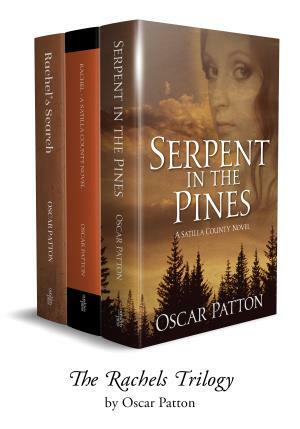 Serpent in the Pines is about the land and timber war that raged in south Georgia for fifty bloody years. When her husband is shot through a window of their home, Rachel Moore is drawn into the conflict. Twenty years later, in Rachel, Rachel Mellon, investigative journalist, advocates for women’s suffrage and takes on the Circle of Brothers, a crime syndicate controlling the illegal liquor business in Satilla County. She then opposes the Klan in Rachels Search. When her best friend disappears, Rachel goes on the hunt with her pistol in her handbag and her love interest, U.S. Marshal Ben Grey, at her side.